Michael Jackson’s British goddaughter has broken her life-long silence to reveal she believes he is innocent of the sexual abuse allegations. Lucy Lester, 27, is an ordinary, single mum who lives in a modest-semi and works with vulnerable young people. Lucy, of Stroud, Glos, is the goddaughter of Jackson who once tried to teach her to moonwalk and was helping to plan her 18th birthday celebrations when he died. During her teenage years she and her siblings were so close to Jackson’s children they regarded each other as cousins and they even spent one Christmas together. Lucy’s father is former child star Mark Lester who starred in the 1968 film Oliver! and is a familiar figure on TV and newspapers defending his late friend. In recent months the actor, who retired from showbiz to work as an osteopath in Cheltenham, has appeared on TV to loyally defend the star. Now Lucy has agreed to speak out for the first time since Jackson’s death 10 years ago this June to talk about the man she knew. 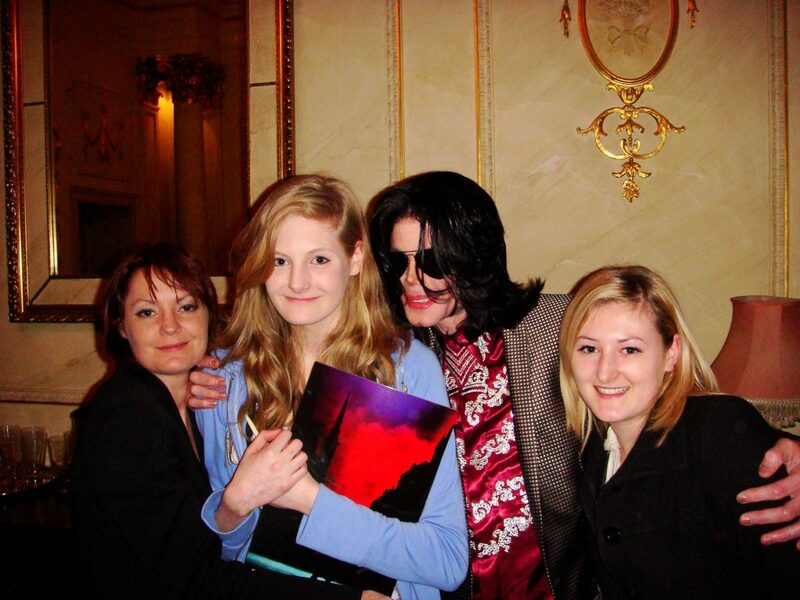 And she says the “wacko Jacko” image is nothing like the Michael Jackson known by her, her sisters Harriet, 25, and Olivia, 23, and their 19-year-old brother Felix. She also says she believes he is inncoent. Lucy said: “One hundred percent I never saw anything to suggest anything like that. “I never had the slightest inkling, saw or heard anything that made me feel uncomfortable. Although he was always in the background, Lucy never met the star face to face until she was about 12. “Dad met Michael when he was 18, long before I was even born so for me it’s always been pretty normal,” she said about having one of the most significant cultural figures of the 20th century as part of her life. Her sisters, who now live in Oxford and London, used to go to Jackson’s Neverland ranch in California but it never worked out with her school holidays and she’d have to listen to stories such as the time they were on a train and a giraffe put its head through the window. The first time she personally met Michael Jackson face to face was when he flew her father and all four children out to the Four Seasons Hotel in Las Vegas so he could cement the links between the two families by becoming their godfather and making Mark godfather to his three children. “We flew over for the naming ceremony but the thing I remember most was that it was Halloween, which is really big in America, and we went trick or treating with Michael and the kids,” she said. It was during this trip that Michael tried to teach her to do his famous moonwalk dance but Lucy says despite the best tuition in the world she still hasn’t mastered Jackson’s signature move because she can’t dance. After that the families met up every time Jackson came to England and the Lesters formed a strong bond with his children Prince, Paris and Blanket. So much so that in 2005 Jackson rented a sultan’s palace in Bahrain and put the Lesters up in the nearby Ritz Hotel so they could all spend Christmas together. She said: “I remember the car picking us up and taking us there,” said Lucy. “It was only about 10 minutes away but the drive to the house must have been about a mile long and there were all these rose gardens and water features. It was amazing. “When we went inside, it was massive. The ceilings must have been 50 foot tall and the Christmas tree reached the top. Jackson hired two violinists to play over Christmas dinner and then the Lesters opened their numerous presents from the star which included lap tops, MP3 players, expensive perfume and Chanel make-up. “When we went back at the end of the holiday there was so much stuff that me and my dad had to go to the lobby to buy duffel bags to put it all in,” she said. “It was crazy. There was so much we could not take it all back and had to to have half the presents shipped back to Cheltenham. During Jackson’s final few years he was a frequent visitor to Britain and every time he asked the Lesters to visit so the children would hang out with Prince, Paris and Blanket. Most of the time he stayed at the Dorchester Hotel in London and the Lester children often had to negotiate the screaming fans who would gather under his regular suite hoping to get a glimpse of the star. Ever the practical joker, Jackson once asked her to open his curtains and laughed when she jumped back after being confronted with an army of hysterical fans who thought it was the star making an appearance. Calling his children by their unusual names such as Blanket did not feel strange and she can’t ever remember feeling perturbed by Jackson’s dramatic appearance, allegedly disfigured by years of plastic surgery. “I think by that time all the work had been done so that’s all I had never known him as,” she said. But what on earth did four kids from Cheltenham have in common with three children born to surrogate mums and whose billionaire, global superstar father was known for his eccentric behaviour. “Obviously if we went out there would be security and hordes of people taking pictures but as soon as we were back inside it was just two normal families together,” she said. 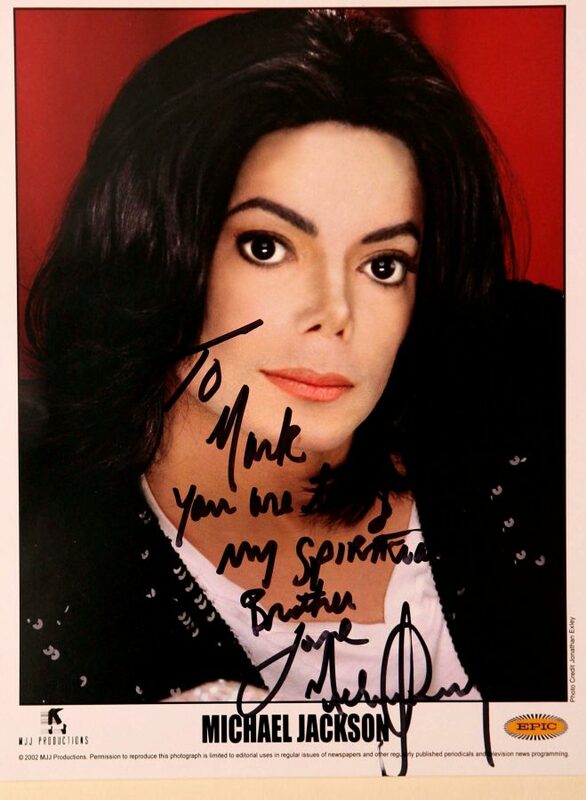 “My dad and Michael would be chatting and we would hang out with the kids. We would order pizza, chips and ice-cream on room service and sit around talking and watching TV and films. “We grew up together and spent so much time together we referred to each other as cousins. “There was one time when we were really, really bored and Michael cleared it his with security to take me, Prince and Paris to the cinema. But although it was a rare taste of normality she says the Jackson children never seemed to think their lifestyle was out of the ordinary or throw their weight around. Naturally the three girls gravitated towards Paris who was a few years younger than Lucy. “They never said anything and I never asked,” said Lucy. “ I think they were just accepting of it. They were nice, really polite children and not spoilt at all. They were really close and I never saw them rowing or throwing tantrums. “They were the kind of children you would choose as your friends. Blanket was a baby when we met. Paris was quite quiet and really, really sweet. “I remember we bought her this pendant necklace with a blue sandal on it for her birthday, or maybe a late Christmas present. Back in Cheltenham word got around that a local man was one of Michael Jackson’s best friends. “I never went around telling people but it was common knowledge,” said Lucy who attended St Edward’s School in Cheltenham. “A lot of people didn’t believe it was true, which didn’t bother me because I didn’t have anything to prove. In 2007 Jackson took over the entire top floor of the famous Cliveden House hotel in Buckinghamshire for five weeks while he negotiated for the Beatles back catalogue with Sony and while there he invited the family to attend Prince’s birthday party. The girls were each allowed to take a thrilled friend to the lavish party. As usual at the end of their stay Mark politely said ‘you must come to see us in Cheltenham’ and was shocked when Jackson took him up on the offer there and then and immediately started piling his family into a security car to follow the Lesters up the M5. “They rocked up in a security car and sneaked into the house,” said Lucy laughing at the memory. “We shut the blinds but people started to gather outside almost straight away. “People knew who my dad was so when a car with blacked out security windows parked in the street they wanted to to know if it was him. Being able to tell your friends that you had Michael Jackson around for tea wasn’t always easy as more and more allegations were made about Jackson’s private life. “I remember being at school around the time of his trial,” said Lucy. “I don’t think I had been there very long and was waiting for my parents to collect me when two girls started talking within earshot about the trial and saying some things that were not true. “They weren’t to know he was a friend of the family but it was all I could do not to say something to them. When I hear people who have never met him being negative about him it’s really, really hard not to say anything. Although she is hurt when she hears people attacking Jackson or reads negative comments online, she rarely tackles them head on because experience shows it does no good. As far as she is concerned she is the one who knew what he was like and she will remember the “lovely” dad who would do ordinary things like eat popcorn in front of a film or offer her a piece of Hubba Bubba chewing gum as they travelled in his car. A practical joker who would drop water bombs from his balcony with her dad and a generous man who once took them shopping in malls and told them they could have anything they wanted is how she remembers him. “He’s made out to be this big character but maybe that’s a stage persona and people are different backstage,” she said. “As soon as he saw us he would give us a big hug and just start talking about normal stuff like how we were getting along in school? He was very down to earth and he’d just talk about the family and everyday things. Visiting Jackson also taught her the reality of fame and when with Jackson they had to sneak in through back doors and shop behind closed shutters in empty stores to avoid the crowds. Fervent fans used to press notes and presents for Jackson into her hand every time they arrived or left the Dorchester and she says he was delighted to get them. “He used to say his fans knew where he would be before he did,” she said. “Once we went to see Billy Elliott and we had to drive through what seemed like thousands of screaming fans. “It was quite scary but Michael was just laughing. He wound the window down and shouted to somebody ‘I love your banner, I want your banner’. On March 5, 2009 Jackson, who by this time was dogged by financial problems and had not toured or given an interview for years, announced ‘This Is It’, a 10-concert residency at the O2 arena in London. Lucy says he was so nervous about announcing his comeback that he asked her father to attend the much publicised launch of the concerts which sold out so fast that 40 more dates were added. That April was the last time they saw each other and he gave his godchildren Mac computers and gift vouchers as late Christmas presents before flying back to America. “The last time I spoke to him was three days before he passed away,” said Lucy. “He was in rehearsals in America and on the phone to my dad a lot. “I happened to be around my dad’s once and as usual he asked to be put on to me so he could say ‘hi’. He was asking how things were going and what I was up to. “I was telling him I wasn’t sure what to do for my 18th birthday and he said he would reserve front row seats for me and a couple of friends at one of the concerts and we could go backstage afterwards. Days later a friend messaged her to turn on TV and she saw the conflicting and confusing reports coming out of America saying Jackson had been rushed to hospital. As her father tried to frantically find out the truth on the phone, she spent the rest of the night at her nearby home glued to the TV, flicking through the channels hoping to hear it was a big mistake. “I waited until 7am when I knew everybody would be up to go to my dad’s,” she said. “I had been up all night and was like a zombie. When I turned the corner into his street there were news vans and TV crews swarming all over my dad’s house. Lucy struggled to accept that her godfather was dead and for a long time afterwards could not eat hoping to hear it was a mistake or hoax. “He passed away on 25 June and it was my 18th birthday on July 15,” she said. “I went out with some friends and obviously a lot of the clubs were playing his music as a tribute. “One of his songs came on, I think it was You are Not Alone, and I had a complete and utter breakdown in the club. Although songs like BAD fill her with bittersweet memories, one of the hardest things to accept is losing touch with Prince, Paris and Blanket who were whisked away by the Jackson family shortly after the star’s death. “It was a massive thing,” said Lucy. “I wanted to speak to the kids, I wanted to know if they were OK or needed anything but with Michael gone we had no way of getting in touch. “Having to watch someone you consider one of your cousins grow up in the media is really hard. “I think it was a few months later when Paris tried to take her own life. I was pulling into a petrol station and turned radio on when I heard it and phoned my dad. “There was nothing I could do and it made me feel helpless. If it had been a normal friend I could have picked up the phone or gone around to talk to them. After Michael died people tried to contact the Lesters through social media pretending to be Paris so so they changed profiles and developed a series of questions only she would know. Sadly none of them turned out to be the real Paris. Lucy sent a message to what she believes is Paris’s real Instagram page and although it’s not been opened, she lives in hope that Jackson’s daughter will remember the time they were close enough to swap friendship bracelets and watch films together. “Since then I‘ve had a child, and it’s really sad that I couldn’t tell her about such a big thing in my life,” said Lucy wistfully. “She was a massive family person and adored her brothers so I know she would have loved to meet Jake. “It would be lovely to catch up again like old friends but it’s not that easy. You can’t just message them on Facebook and ask if they want to meet for a coffee like you can with your other friends. After Jackson’s death it emerged that Lucy’s father was one of a number of sperm donors Michael used to father his children with nurse Debbie Rowe. It led to widespread speculation that Paris is actually Lucy’s sister. Mark has always said it is up to Paris to take a paternity test if she wants to find out who her father is. Like the rest of her family, Lucy defends the star against child sexual abuse allegations made by Wade Robson, 36, and James Safechuck, 40, in the Leaving Neverland documentary. Although she has never watched it she disputes some of the evidence put forward saying it’s unfair because Michael is not there to defend himself. “One hundred percent I never saw anything to suggest anything like that,” said Lucy. “I never had the slightest inkling, saw or heard anything that made me feel uncomfortable. I do not believe he did it and there are other factors to consider such as monetary gain from the people who accused him. “Having to hear people say things about him when they don’t know him is probably the most difficult thing of all. I can speak from personal experience and all I can say is that I never thought there was anything untoward. Michael was a lovely family man. “I don’t get into arguments about it. There’s no point. But there is nothing that has made me feel like it could possibly be true. The person described in the newspapers who allegedly did these things was so far from the Michael I knew.